In this intensive half-day demonstration you’ll learn how to prepare canapes that your guests will definitely be writing home about. You’ll also discover about the latest trend in for ‘mini-food’ and ‘small bites’ which includes everything from offering little cups of soup to oyster shooters. You will also get to enjoy a rather canapes orientated light lunch in the cookery school dining room. ..
How to make a wonderful selection of canapes. 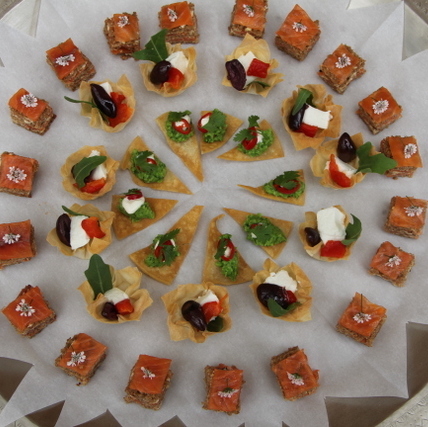 How to dazzle with a beautifully created canape creation. Courses on during week of 26th June.